Welcome to the National League of Professional Futsal! A new era of Professional Futsal is here to take North America by storm. Welcome to the National League of Professional Futsal! WASHINGTON, DC - The National League of Professional Futsal (NLPF) is set to launch in Spring 2017 to unite the top teams from across North America in elite competition. The NLPF 2017 season will showcase the likes of Safira, Sporting Maryland F.C., NJ Copa FC, Stanislaus United, East Diablos, Di Bufala, KnowEns and San Jose Legends, amongst others - all of which hold outstanding pedigrees across North American Futsal competitions over the last decade. In partnership with U.S. Futsal, the NLPF will represent the highest level of Professional Futsal that North America has to offer and will foster a culture of growth, credibility, clarity and consistency to the sport. The NLPF will premiere on Presidents Day weekend (Feb. 18-20) with a series of exhibitions at the U.S. Futsal Northeast Regional Championships at Wildwood Convention Center, NJ. Another series of exhibitions will take place at the U.S. Futsal Northwest Regional Championships (March 10-12) at the San Jose Convention Center, CA. These exhibitions will give the east and west coasts a taste of what's to come in the NLPF 2017 season which is set to begin in May 2017. The NLPF will be organized by Eastern and Western Conferences, initially, with expansion to regional divisions in the near future. Stay tuned for the Official 2017 season schedule. A collaboration between some of the most successful and brightest Futsal organizations in North America, the NLPF is comprised of the top teams and ex-members of the NAPFL and MLF USA -- further, the NLPF management have a united vision to move Futsal forward together for the youth players and fans across the sport. The NLPF is on the rise! The NLPF has received immense interest from franchises across North America and is continuing to accept applications for the 2017 season until Wednesday, April 26th. All inquiries should be directed to the NLPF management team at info@NLPFutsal.com. 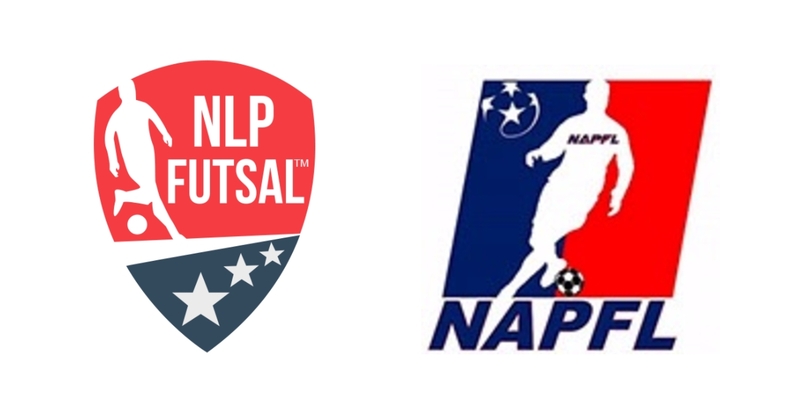 The NLPF is excited to work in partnership with the National Association of Professional Futsal Leagues (NAPFL).